Welcome to Columbia used auto parts and thank you for visiting our website. Columbia used auto parts is one of Georgia’s largest supplier of used and aftermarket auto parts. With 100,000 parts in inventory we guarantee that we can assist you in keeping your vehicle going for years to come. We specialize in 1996 and newer, all makes and models. If we don’t have something you need we guarantee we can get it for you! 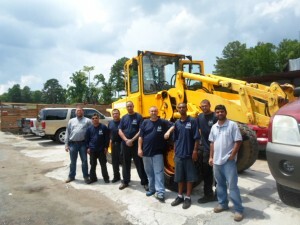 Columbia used auto parts has been serving the metro Atlanta area for the last 15 years. We offer free delivery to shops, extended warranties, and excellent customer service!!! So again thank you for visiting Columbia used auto parts. Feel free to contact us with any questions or needs.